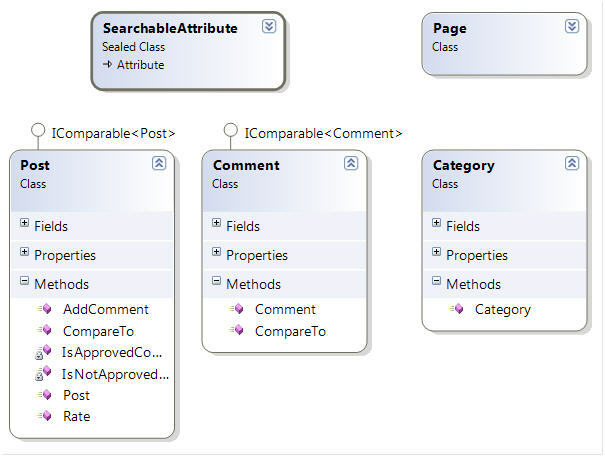 The main idea is to be able to define the business entity’s properties that must be indexed when this one is saved or updated in the chosen persistence system. With the goal to be the less intrusive possible in our model we come fast to the idea that we need to extend our business entities with meta-data. 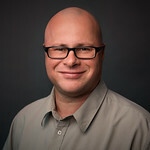 The issue then is that at runtime it is needed to know which meta-data needs to searched in the entity in order to be able to index the content of the decorated property. 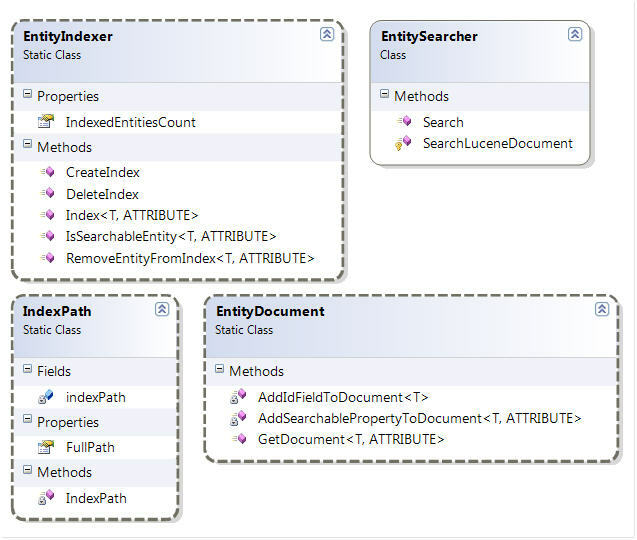 As one of the goal is to have a Framework which manage the indexation and the searching of whatever business entity, we might have wrote a simple class inheriting from System.Attribute in an assembly separated from our domain. That would have the drawback of behind much intrusive in our domain. Another solution was needed. As we have seen the developed Framework needs to know the meta-data, giving it the opportunity to index the content of the property at runtime. This means that at development time it is absolutely possible to generalize this information by using the generics of the .NET Framework 2. As we are talking about meta-data the only imposed thing is that our class inherits from System.Attribute. The choice was made then to define a utility class in the domain assembly inheriting from System.Attribute which will serve us as a decorator of the entity’s properties needing to be indexed. 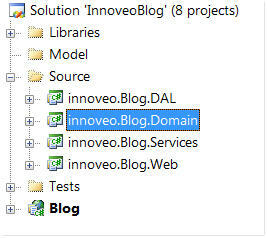 We have so defined the new attribute SearchableAttribute in the assembly innoveo.Blog.Domain. Here it is for our solution that will use our business entities indexing Framework. Let’s have a closer look now at the Framework itself! As you can see on the diagram we use the .NET Frameworks 2 generics this in order to allow us to search whatever attribute decorating our business entities. But also to be able to have a Framework that is not dependant of any entities. This brings a good flexibility at the usage time as it let you index whatever property of type string of whatever business entity. All of this is without being intrusive in our model. Now that we know about the architecture of our Framework it is time to look deeper in the details of the implementation.